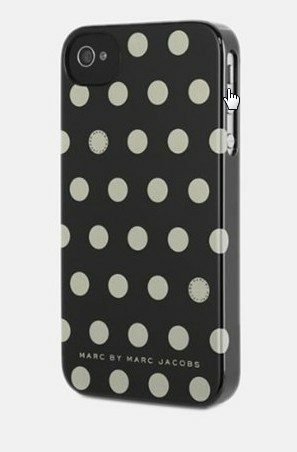 Marc Jacobs iPhone Black Polka Dots Snap Case Only $5 + FREE Shipping (Reg. $40)! You are here: Home / Great Deals / Marc Jacobs iPhone Black Polka Dots Snap Case Only $5 + FREE Shipping (Reg. $40)! Hurry and snag this HOT deal on this Marc Jacobs iPhone 4/4S Black Polka Dots Snap Case, on sale for Only $5 + FREE shipping (Reg. $40)! I am ordering this right now for my daughters stocking this year! !